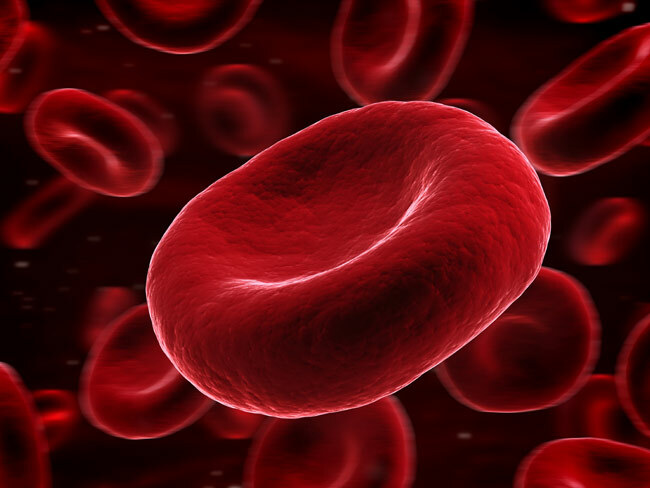 Platelet-rich plasma, or PRP, is a revolutionary and conservative approach to treating many orthopedic conditions. 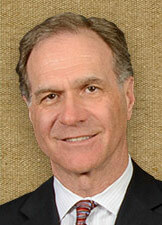 PRP promotes the healing of tissue that has been injured or worn down over years of use. This technique makes it possible to avoid surgery and missing work, while getting you back to normal activity sooner, through postinjection protocols encouraging mobility. Today many athletes, from professionals to weekend warriors, have successfully used PRP with their recoveries. At POA, we use platelet-rich plasma containing growth factors and sometimes added stem cells for tendon irritations, tendinitis and bursitis around the shoulder, knee, elbow and ankle joints. Tendinitis is an inflammation, degeneration or injury to the tendon, the structure in your body that connects muscle to bone. In this procedure, we take a small amount of our patient’s own blood from their arm, spin it to isolate the concentrated platelets, and then inject those growth factors they release directly into the injured tissue or joint, to stimulate the body’s natural healing response. In addition, we often combine the natural lubricant, hyaluronic acid, in the injection to improve the overall effectiveness of each treatment and increase lubrication. We’re using PRP therapy to help our patients recover from total joint replacement surgery promoting both healing and the need for pain medication. Normally we recommend a series of injections combined with physical therapy at our Performance & Rehabilitation Center. One of the greatest benefits of PRP is the ability to stimulate the release of stem cells from your vessel walls to improve your body’s own ability to repair the damaged tissue. Our blood is composed of a fluid component called plasma that can be separated from the small, solid components (red cells, white cells and platelets) running through our veins and arteries. So what do they do? Well, they are actually a truly dedicated team of “first responders” that aid in clotting our blood when our tissue is injured. As “first responders,” they quickly bring over a 1,000 proteins, called growth factors, to the injured site almost immediately after initiating the healing response. 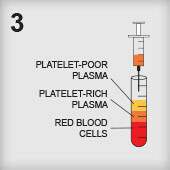 Simply put, platelet-rich plasma is modified to have more platelets per volume than our patient’s own whole blood. For example, this concentration of platelets can be modified to be anywhere between 2 to 10 times greater (or richer) than the patient’s own blood, and carry with it far more of the essential growth and healing factors that make this type of therapy so effective. 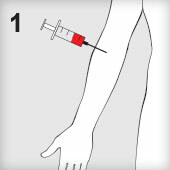 Extract blood from patient using a syringe and needle. 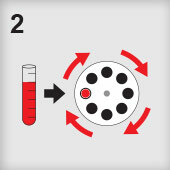 Place blood on a specially prepared centrifuge and spin the blood. The platelets separate from the rest of the blood. 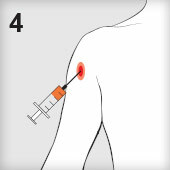 Inject into the tissue, preferably using ultrasound guidance for better accuracy.